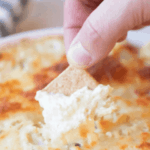 This Jalapeno Artichoke Dip is oh so good! It’s the perfect game day food. It’s easy to make and a total crowd pleaser. This artichoke dip appetizer will be a hit at your next party. 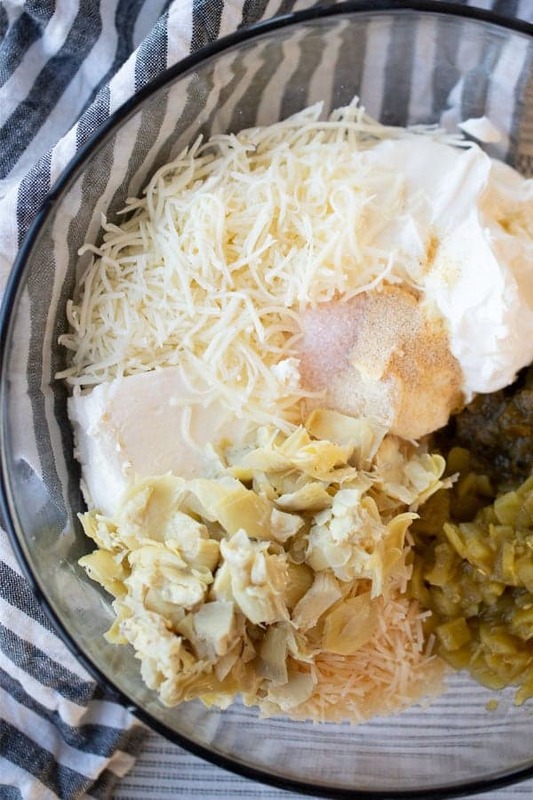 This artichoke jalapeno dip is made with canned artichoke hearts. You can use freshly cooked artichoke hearts, bottled or canned. This cream cheese recipe is savory and flavor filled. 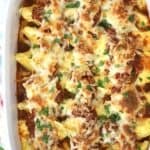 You are going to love the cheeses and spicy flavors! 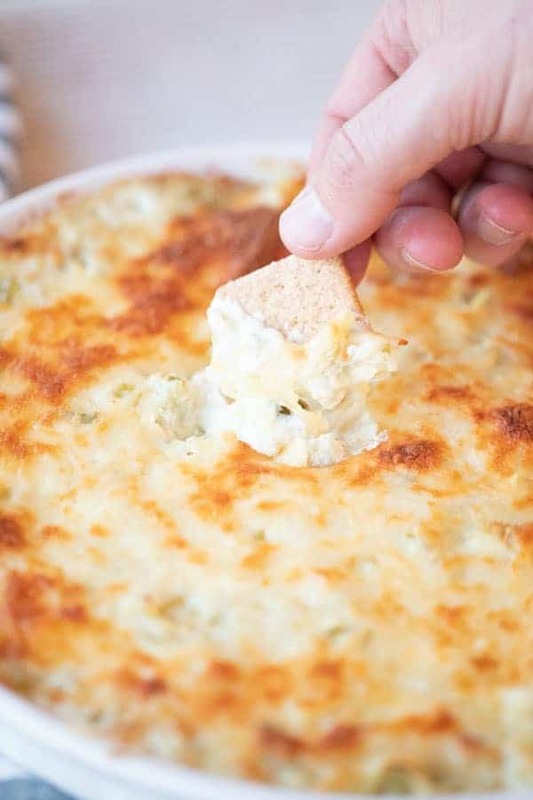 This artichoke dip recipe can be served with baguette bread, your favorite crackers, potato chips, or veggies. 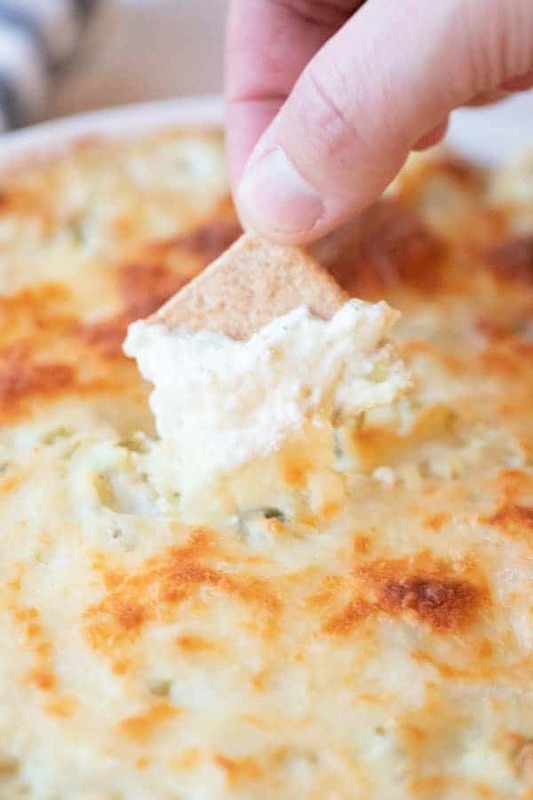 This jalapeno artichoke dip recipe can be served with baguette bread, your favorite crackers, potato chips, or veggies. 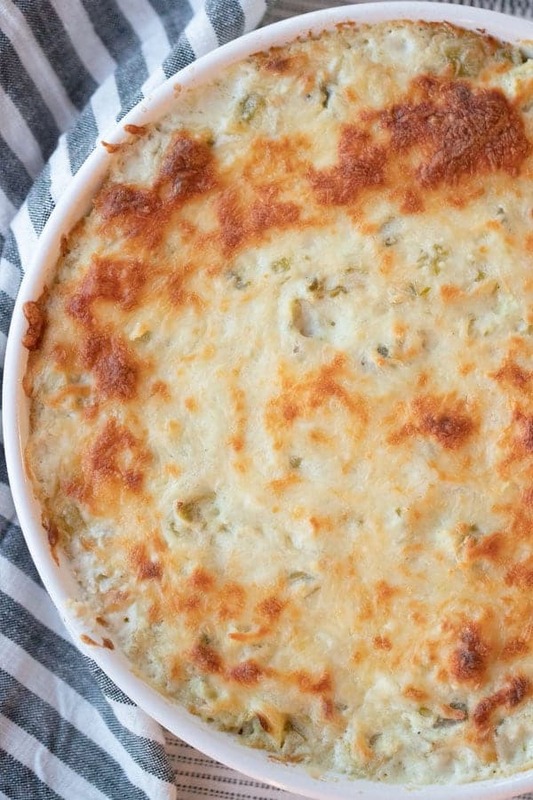 This Jalapeno Artichoke Dip is oh so good! It's the perfect game day food. 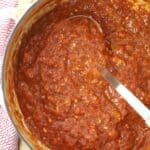 It's easy to make and a total crowd pleaser. 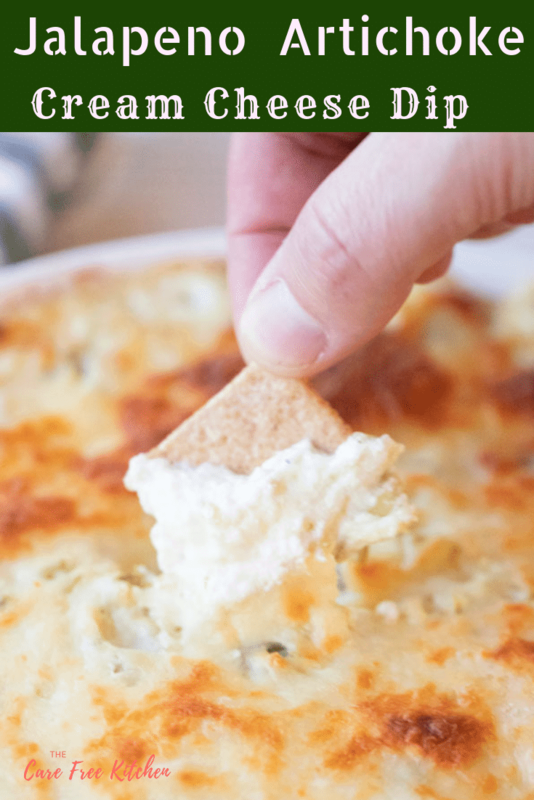 This artichoke dip appetizer will be a hit at your next party. Chop your artichoke hearts in to approx 1/2" chunks. 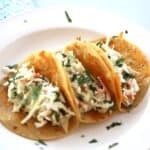 In a large mixing bowl, combine the chopped artichoke hearts, cream cheese, parmesan cheese, 1 cup mozzarella cheese, diced jalapenos, diced green chilies, sour cream, garlic powder, and onion powder. Mix until well combined. Spread the dip into a square 9 by 9" baking dish or a 12" round baking dish. Top with remaining 1/2 cup mozzarella cheese. 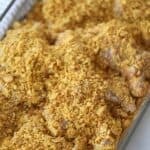 Bake in a preheated oven for 30-45 minutes or until the edges are bubbly and the top is golden brown. 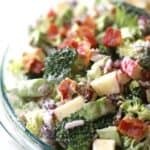 Serve with Crackers, Potato Chips or Veggies. Enjoy!